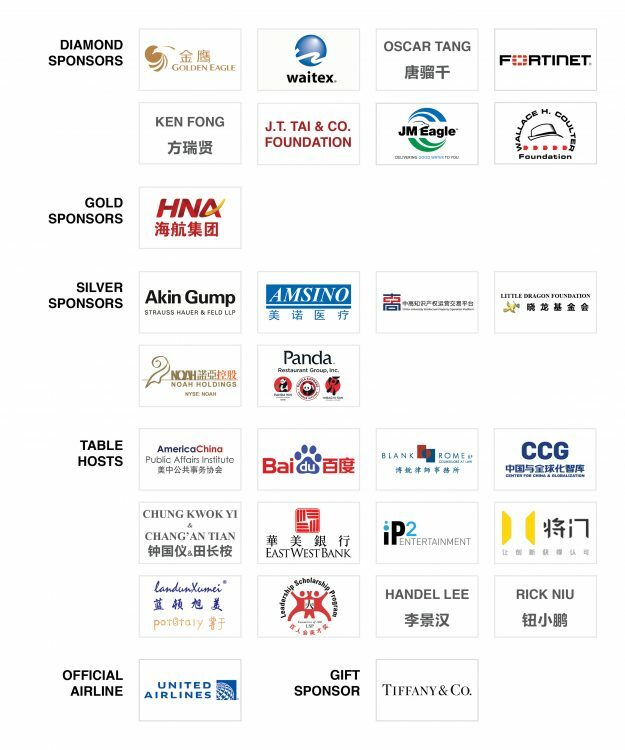 The Committee of 100 (C100) is a non-profit leadership organization of prominent and extraordinary Chinese Americans in business, government, academia, and the arts. Founded by world-renowned architect I.M.Pei and internationally acclaimed cellist Yo-Yo Ma, among others, it is an institution of U.S. citizens of Chinese heritage. For nearly 30 years, C100 has served as a preeminent organization committed to the DUAL mission of promoting full participation of Chinese Americans in all aspects of American life and constructive relations between the United States and Greater China. 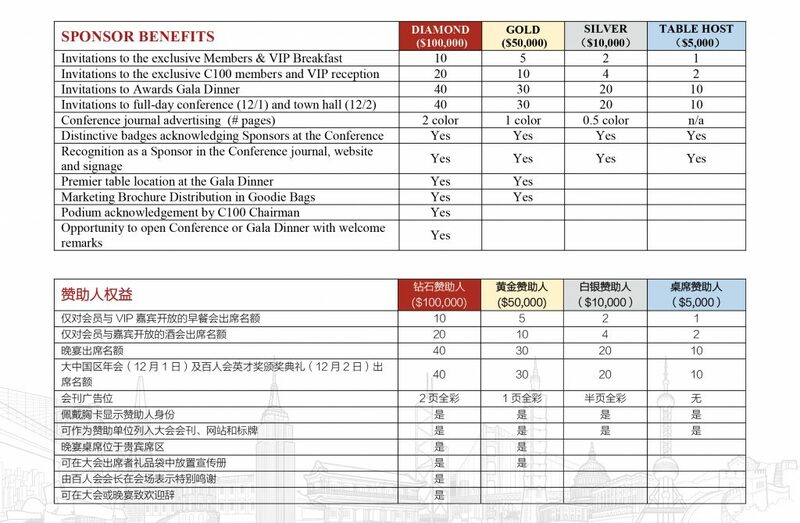 The Committee of 100 is convening its China Annual Conference and Gala on December 1, 2018, in Beijing. The C100 China Conference mirrors C100 U.S.-based conferences, providing respected and prominent experts from the U.S. and China to address our members, leaders in public and private sectors, academics, artists, and media on key issues in U.S.-China relations and a platform for the exchange of views and perspectives. C100 will host the 13th Leadership Scholarship Program (LSP) Awards Ceremony on December 2, 2018, in Beijing. The Program was launched in 2005 in partnership with 18 leading Chinese universities to recognize and foster leadership potential of Chinese graduate students. Through a rigorous and competitive process scholarship awardees are Chinese graduate students selected based on academic distinction and dedication to social responsibility and service. Download Full Sponsorship Package Here.